The Chevrolet Impala is a full-size automobile built by the Chevrolet division of General Motors introduced for the 1958 model year. Named after African antelope, Chevrolet's most expensive passenger model through 1965 had become the best selling automobile in the United States, competing against the Ford Galaxie 500 and the Plymouth Fury when full-size models dominated the market. 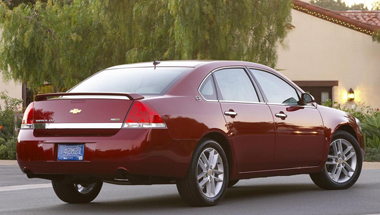 The Impala was distinguished for many years by its symmetrical triple taillights. The Chevrolet Impala is a full-size family sedan that comes in three trim levels: the entry-level LS, the midgrade LT and the loaded LTZ. The Caprice was introduced as a top-line Impala Sport Sedan for the 1965 model year becoming a separate series positioned above the Impala in 1966, which itself remained above the Bel Air and Biscayne. The Impala continued as Chevrolet's most popular full-size model through the mid-eighties. 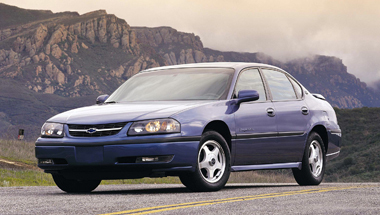 Reintroduced for the 1994 model year, the Impala SS was produced through 1996 based on the Caprice Classic sedan. the Chevrolet Impala is a comfortable and convenient car, practical and enjoyable to drive, with decent performance and fuel economy. On the road, the Impala is very stable, a nice cruiser. available V6 engines, a 3.9-liter V6 with advanced technologies. Step on the gas and it goes. Given its size, the Impala handles well, and surprisingly so.There are three trim levels, ranging from a sensible, reliable, and fuel-efficient family sedan to a more luxurious version with commendable performance and a good complement of features. 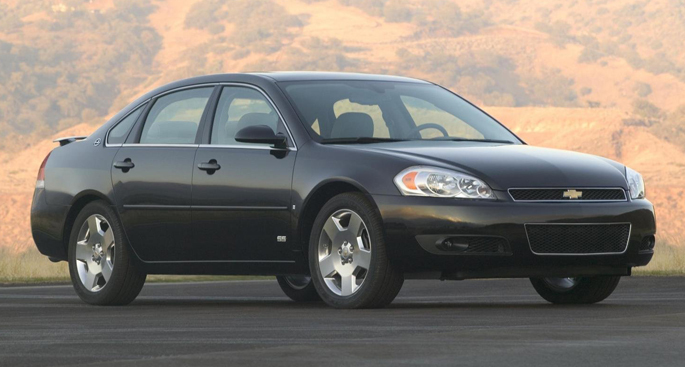 Under the hood, the Impala LS and LT come with a 3.5-liter V6 engine that produces 211 horsepower. Standard on the LTZ is a 3.9-liter V6 good for 230 hp. All Impalas come with a four-speed automatic transmission. The interior has been completely redesigned. The Impala featured a wood trim center console with chrome trims on all major control buttons. The dashboard featured a chrome Impala logo embedded in the wood grain trim that runs across the front of the vehicle and onto the doors. The new control knobs found throughout the vehicle's cockpit are similar to those found in the new Buick models as well as the Cadillac DTS, all of which feature a similar center console. Another interior revision is the location of the cupholders, which are now concealed beneath the mid-section of the vehicle's center console. The base audio system comes with six speakers, AM/FM/CD/MP3 capability, and XM Satellite Radio. It features speed-sensing volume control and a two-line, 32-character display and the capability to select freely between AM, FM and XM. We really liked this system because we could set up all of our favorite stations in one row, for example, allowing us to quickly switch between AM news, XM news, FM music stations, and CDs. Setting these presets is as easy as holding the button down. Presets for the equalizer let you quickly switch settings from rock to country & western to talk radio.